A tragic story has emerged and imposed itself on the painful reality of a family that has suffered continuously for decades. 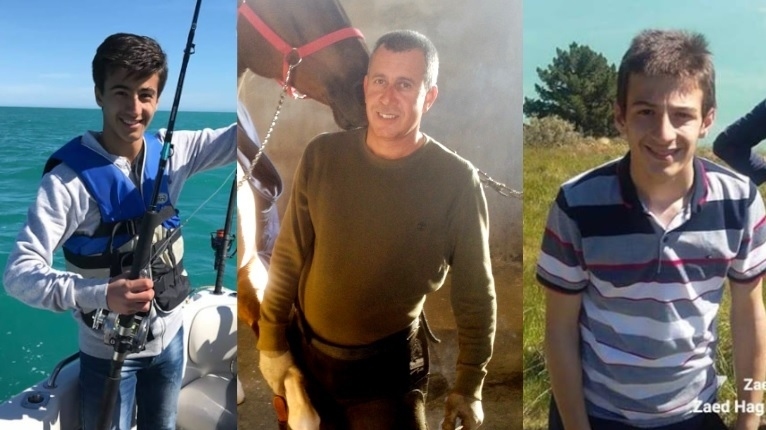 Khaled Haj Mustafa and his son Hamza are amongst the Circassian fatalities of the recent New Zealand Mosque Terrorist Attack. This story is a heartbreaking scene of a family that has suffered for generations like the hundreds of thousands of Circassians, through injustice, oppression, ethnic cleansing, and forced deportation in multiple places. The grievous story began in Circassia, where Khalid’s ancestors lived, but were deported following the Russian Tsarist invasion. The family had to be deported to the Ottoman Empire, where the Ottomans transferred them to Kheshnieh, in the Golan Heights. The family had to be deported from the Golan Heights to Damascus, after the Six Day War in 1967 between Syria and Israel. Khaled Haj Mustafa was born and raised in Damascus. One news report describes: “In 1864, Khaled’s ancestors migrated from the Caucasus after the war that lasted for more than 100 years with the Russian Tsar. They settled in the currently occupied Syrian Golan and then in Damascus, in al-Kiswah area of al-​​Mansourah village during the 1967 war.” He worked as a horse farm manager raising, breeding and taking care of horses. Six years ago, and as a result of the unfortunate events that took place in Syria, he was forced to flee for safety with his family of parents (Khalid and wife Salwa), two sons (Hamza, 17 and Zaid, 12) and one daughter Zina, 10), to Jordan. He continued his work raising, breeding and taking care of horses. After about six years of living in Amman, Jordan, he decided to chase after a better future. He wanted to improve the conditions of his family’s wellbeing and provide better opportunities for his children like a good education and a decent life. Instead of being able to return to his original homeland, which is no longer possible in the current circumstances he managed to apply to the UNHCR and eventually immigrated to New Zealand about seven months ago. In all the homes far away from homeland, the family faced a harsh and terrible life buttered eventually by unmannerly tragic event that has raged and echoed around the world. This event has led to the fall of more than one hundred worshipers, between the dead and wounded. The criminal has left a peaceful nation confused, heartbroken, and angry. “The friend, Salwa Tsay, escaped, but her husband, Khaled Mustafa, a horse trainer, and her son Hamza, 17, an award-winning equestrian, were killed. Another son, Zaid, 12, was shot three times and remains in critical condition. The refugee family had escaped the Syrian war but knew no one in New Zealand“. Many countries have offered help to relatives and loved ones who wanted to travel to New Zealand to personally participate in the funeral of the victims’ bodies, and to pay condolences to relatives and friends, as well as to help in healing the wounds of the injured. On the other hand, the Circassians do not have a country to fall back to anymore. This tragedy has given a new dimension of the life of a peaceful family that has not been able to obtain security, peace and stability for many decades, from its motherland to many immigration homes it has traveled to. At the end, what happened was not taken into account, and the rest of the family is forced to complete life with confidence and hope for a promising future.